When you have A-Fib and you’re taking a blood thinner or other medication, you may wonder if you should carry an emergency I.D. card or wear a medical bracelet. According to a paramedic with 25 years of experience, emergency measures to stop bleeding such as compresses, tourniquets, etc. 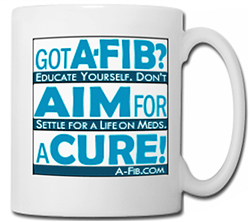 will be used whether or not the paramedic knows one has A-Fib and is taking a blood thinner like Coumadin. But in general it’s a great help to emergency personnel if you carry one or more forms of emergency medical ID. 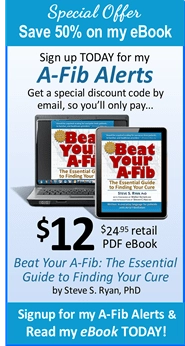 The author of The Patient’s Guide to Heart Rhythm Problems, Dr. Todd Cohen calls it a “portable medical information kit”. 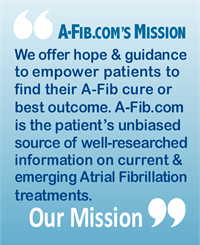 This is an excerpt from Beat Your A-Fib: The Essential Guide to Finding Your Cure, by Steve S. Ryan, PhD (page 20). Type up the information, print, and trim; add a copy of your most recent ECG, then fold to fit your wallet or purse. Add a label, “In Case of Emergency” (ICE). There are many styles of Medic Alert IDs bracelets and necklace pendants using different materials like waterproof foam, leather and stainless steel. Don’t carry a wallet? Consider a Money clip with compartment to slide in your emergency contact info. Cell phone: Emergency personnel often look at your cell phone contacts list for an ‘ICE’ contact, that is, an “In Case of Emergency“ entry. It’s easy to do. Add a contact named ‘ICE’ and enter your emergency contact’s name, phone numbers, email address, etc. In the notes field, you can add your vital medical information. For the jogger or walker: A shoe tag or pocket with your emergency contact info can be attached to your laces. For cyclists and others who wear head gear, a Medical ID sticker can be attached to your helment. High tech solutions: Flash Drives are one high tech solution to carry all your medical information. The specially labeled USB flash drive has a large storage capacity which means you can carry much more information than the conventional medical ID bracelet. Variations include bracelets, keychain fobs and pendants. Another type of medic identification alert is QR code-based medical alert stickers. 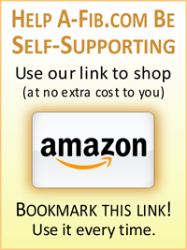 The QR code is added to a wallet card, pendant or keychain fob. To access the information, a smartphone scans the QR code then links to a web service with the individual’s emergency information. Whichever methods you use to carry your emergency medical information, don’t forget to review and update the contents regularly especially when you change doctors, start (or stop) medications or have a medical procedure. Knowing you have up-to-date medical information gives you a little bit more peace of mind. 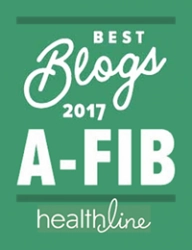 Patti J. Ryan of A-Fib, Inc., supports all aspects of A-Fib.com and often monitors Steve Ryan’s new articles—ever watchful of too much medical jargon and when necessary translates the terminology into everyday language. 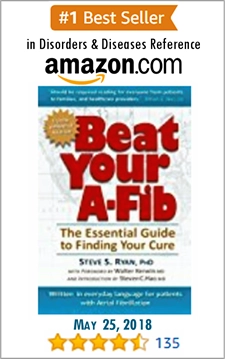 She is also publisher of Beat Your A-Fib: The Essential Guide to Finding Your Cure by Steve S. Ryan, PhD (BeatYourA-Fib.com), an Amazon.com Top 100 Seller.